This post has been sponsored by Oui by Yoplait, all opinions are my own. This is such a busy time of year for so many of my friends. Kids are going back to school, summer is winding down, and life is just getting busy again. That’s why having a routine in place for self-care and me time is so important. Otherwise we all get a bit run down and out of sorts. 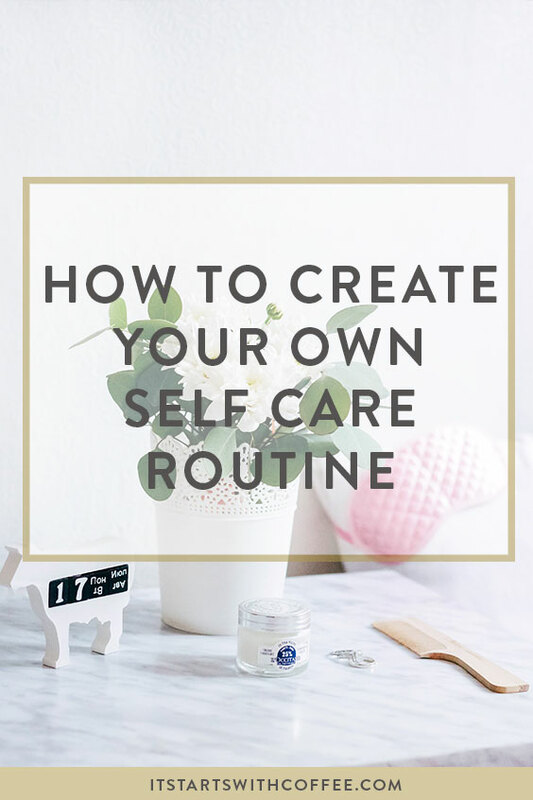 So today I am sharing how to create your own self-care routine! Find the time that works for you: This is different for everyone. For me it’s different every day. Sometimes it’s early in the morning before the baby is awake. Sometimes it’s during nap time or once Andrew gets home from work while he’s playing with Liam. Sometimes I head out to our porch swing with my essentials and just enjoy the silence and fresh air. Sometimes I grab those essentials and head up to our guest room! Just find the time that works for you and embrace it! Grab your essentials: For me that includes a latte, a book, and most recently some yogurt! 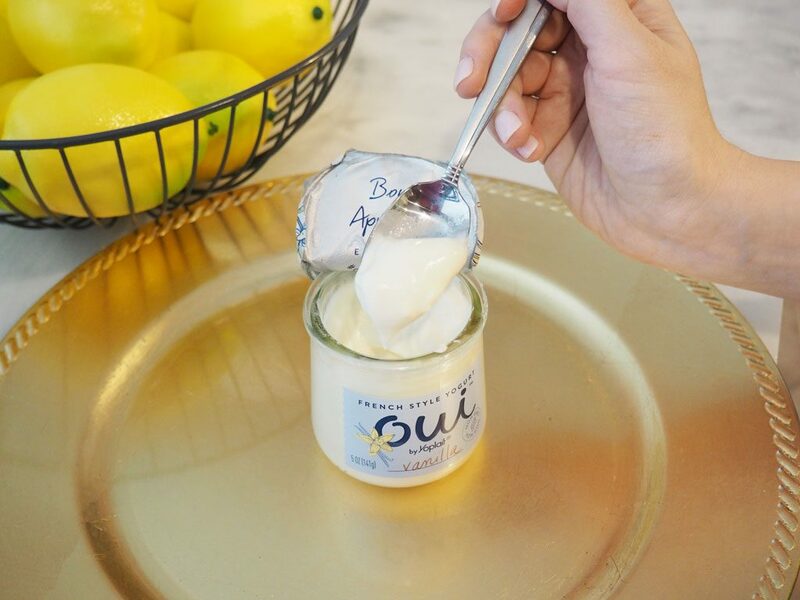 I have always been a yogurt person and recently got to try the NEW Oui by Yoplait yogurt! HOLY YUM! This is a new French style yogurt. 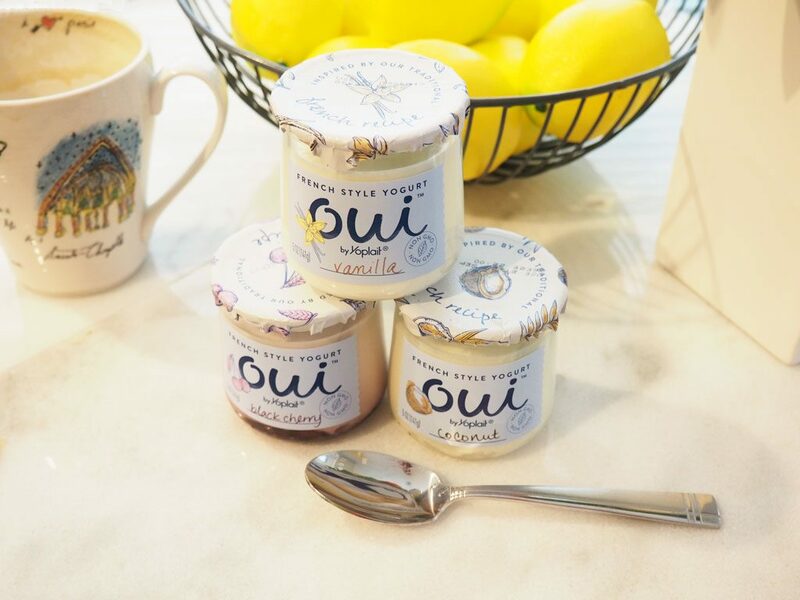 Oui by Yoplait is inspired by their traditional French recipe. It is non-GMO and made with simple ingredients like whole milk and real fruit poured and set in each glass pot. Careful selection of ingredients and detailed craftsmanship result in a deliciously thick yogurt with a subtly sweet, fresh taste. It is also gluten free for all my gluten free ladies out there! I really love the black cherry and vanilla! Andrew is pretty partial to the coconut (I’m allergic!) but it does smell amazing! It’s such a perfect me time treat and really lets you indulge in something delicious and indulge in yourself. We all need to do that more. 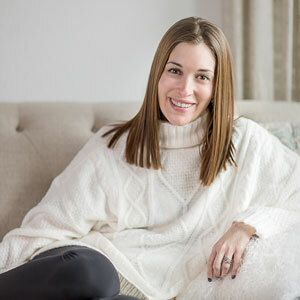 Ask for help: Ask your parents to watch your kiddos for a bit so you can have time to yourself, tell your husband you need him to handle the kids or the laundry so you can get out for a bit, or hire a babysitter. Just ask for help when you need it to ensure you get that self-care you need. Make it part of your routine: Now that you’ve asked for help, carved out the time, and grabbed your essentials, make it a part of your daily routine. Even if it’s 20 minutes! Do you find this helpful on how to create your own self care routine? How do you create your own self care routine? Oui Yoplait looks really delicious! I don’t think it’s available where I live, though. I think having a personalised time for yourself is a great point. We all feel at best at different times of the day. Unfortunately, mine is at night, haha! I actually just tried this yogurt, so yummy. I’m very careful on the ingredients of products, this one is top notch. Now, if I can just get better with my self-care routine I will be all set. I am not currently practicing daily self care but need to develop a self care routine … so this was really helpful. 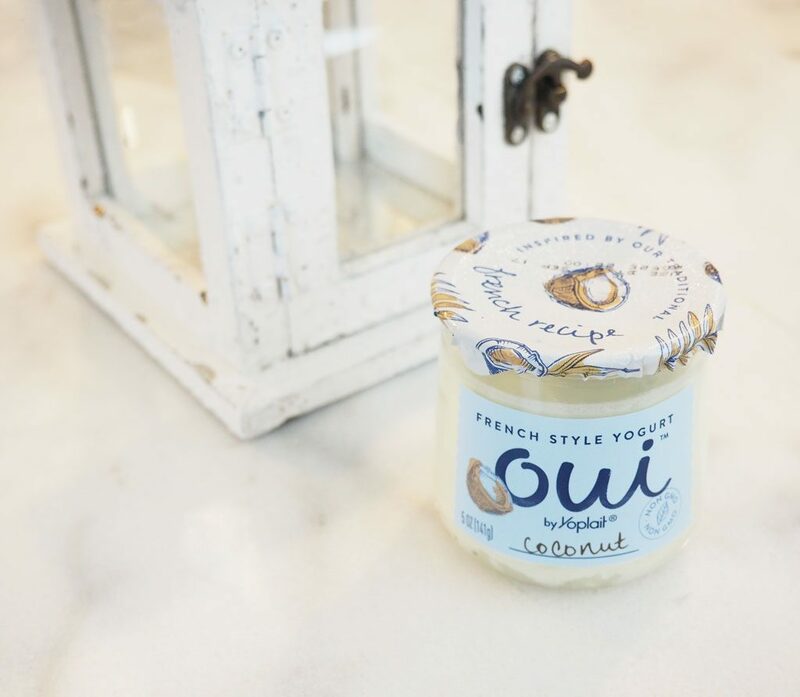 Have not seen Oui yogurt before, but it looks delicious! I like to have a pamper night when I’m home alone in the evening. My boyfriend works a couple of nights a week so that’s when I usually scheduling in a bubble bath and pick out a girly movie to watch on Netflix. Love this post, so helpful and very true! I haven’t tried this yogurt yet but I should! Thanks for sharing your tips! I haven’t seen ths yogurt in my area yet, the packaging is nice. I am not always the best at self cre, some days it’s just a cup of coffee before I get the rest of the day going. I definitely think it’s important to make self care a regular part of your routine because then you can’t fall into that trap of “I’ll do that later” which so many of us seem to do and then it just keeps getting put off and never happens. Great tips. I am curious about this yogurt since I saw commercial for it! And yes, you should definitely ask for help when you need! I need to be SO much better at this! Loved this post! That yogurt looks so good. I actually did recently see it at the grocery store… I may have to give it a try! Loved your tips as well! Making me time as part of your routine is definitely essential. You gotta take time for yourself! This yogurt also sounds super yummy! The latte and book are definitely some of my essentials as well! I can never pass down a good book! Taking care of yourself is super important as you can continually care for others without first taking care of yourself. In order to be the best wife, mother, etc. you have to prioritize your self over everything else once awhile. I’m definitely going to try that yogurt! That’s not a glass container is it? It looks so luxurious! It is a glass jar!!! Self-care is something I often neglect. I do like the idea of adding it in. I do seem to be in a better state of mind when I have taken some time for myself. I totally agree! I am the same way. Great tips on how to develop a daily self care routine, I really need to remember to cultivate one. Thank you for this post. 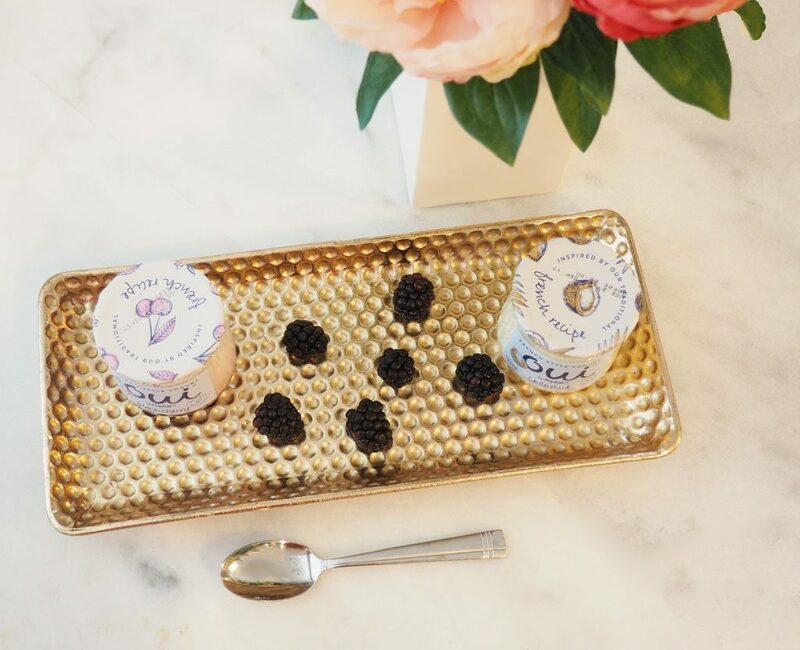 I only recently heard about Oui yogurt. What a great (and tasty) addition to a self-care routine. I saw these in Target about a week ago and I was tempted to grab a vanilla one. I might have to add a few to my grocery list when I get back stateside!